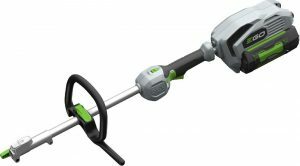 The Multi-Tool is very versatile and can be coupled with 5 attachments which make garden chores easier. The attachments are simply inserted into the coupling and the variable speed trigger ensures that you have the right amount of power when you need it. The loop handle is adjustable for even greater comfort.